Anyone who knows me, knows that I am NOT a morning person. Hence, the difficulty with getting AM cardio into my routine. For me, it's mental game of to get myself past the "it's too cold to get up" or "the sun isn't up yet, why am I?" or "just one more snooze" excuses. And once I get my AM cardio routine going, the results of a conditioned physique and the rush of endorphins before work is more than worth it. One of the coping techniques that I've developed to get myself out of bed is to stretch as soon as I am done turning my alarm clock off. I usually wake up with sore muscles from the workout the night before, so stretching feels really good. It gets blood pumping through my body. I like to imagine the increased blood flow oxygenating my recovering muscles. Benefits of stretching include increased mobility that can help prevent injury later. This is an easy one to start with since you can just roll onto your stomach to do it and you don't have to fully commit to getting out of bed just yet. 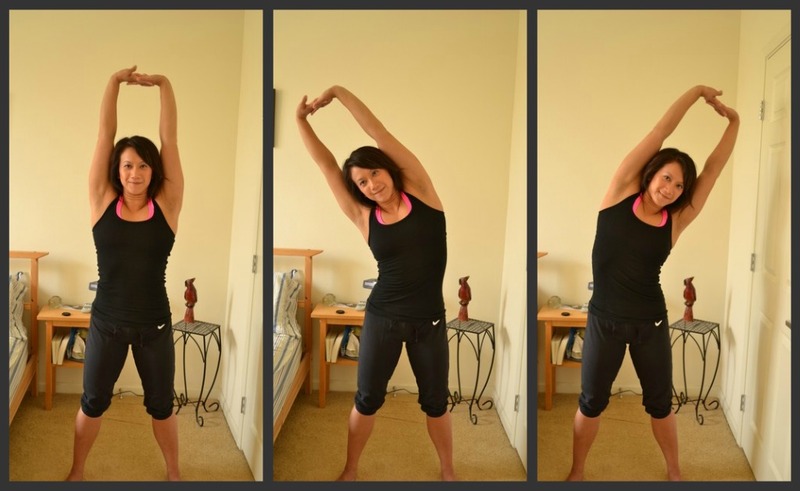 It's also not good to stretch cold muscles so this a good one to start your routine with. Cobra stretches out abs. To really feel the stretch in your abs, make sure to keep your shoulders relaxed (as opposed to shrugged or up to your ears). Keep your legs flat to the bed. Only your hips up will be moving. The more flexibility you have, the taller you can bring your chest up. I have a knee injury from running Wharf to Wharf from a few years back, so my knees tend to get stiff in the morning from the heavy use. Warming up the knees is a move that I learned from Tom Rankin. The best way to get your knee joints warmed up is to actually rub them. When my knees are feeling stiff or if I'm going to endure a heavy leg workout, I definitely give them a vigorous rubbing. It's basically moving your hands in circles over your knee caps to get the synovial fluid warmed up. Finally out of bed, I do this to stretch out my back and chest. I keep my core in tight, clasp my hands together and take a deep breathe as I stretch up and then side to side. While I'm at it, I progress into these stretches. This helps with stretching out my chest, lower back, and gets some blood flowing into my abs. Again keeping my core in tight and with my hands behind my head, I twist from side to side. 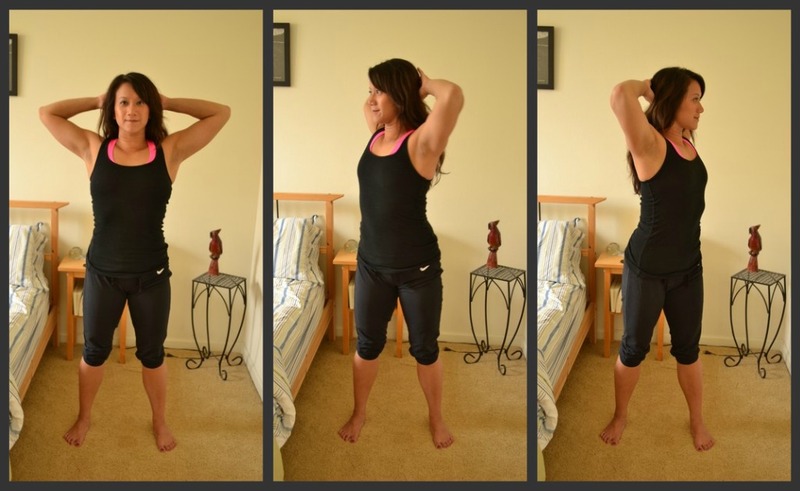 If you want a good pec stretch, you can also open and close your arms while they are behind your head. Yes, push-ups. Push-ups against your bed is an excellent way to get your heart rate going. If you are just starting out with fitness, modified push-ups are an excellent way to build up your strength. If you are a regular gym-goer, it's modified so you won't be exerting all your energy in getting a few in. Push-up engage your abs as well as your back. As you get stronger, you'll start to think that these are just a warm up. Remember to keep your body aligned as you go through the movement to prevent injury to your lower back. 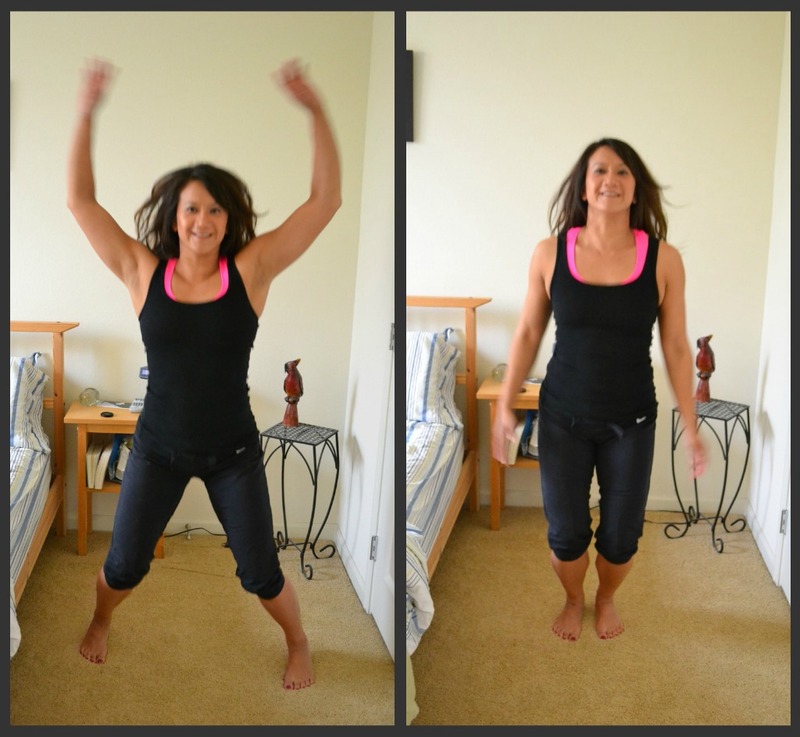 If you still need a wake-me-up move for the morning, try jumping jacks. A set of these will definitely get your heart rate up and blood pumping. I usually get a set in if I am on my way to AM cardio and I need to get myself pumped up for the day ahead. Do you have any morning rituals that help you get your morning started? Of course, I don't do all of these when I first wake up. I usually do 4 or 5 depending on what my schedule entails.